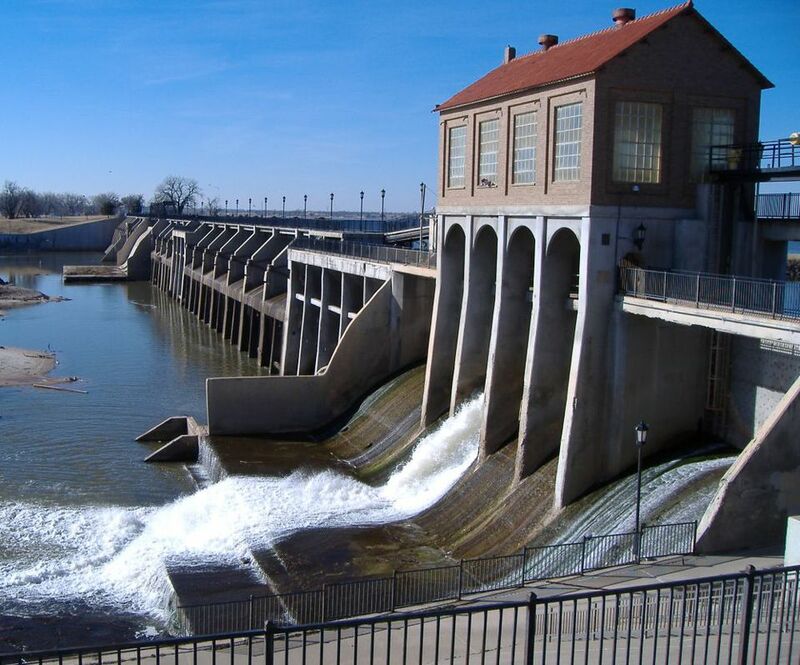 Originally constructed in 1919, Oklahoma City's Lake Overholser is the metro's oldest reservoir, built as a water supply to a still-operating water treatment plant at NW 6th and Pennsylvania Avenue. Lake Overholser is located on the northwest side of the city and is connected to Lake Hefner. Though not the recreational attraction Lake Hefner is, Oklahoma City's Lake Overholser, named after the city's 16th Mayor, has several boat ramps, a covered fishing pier, picnic areas, and more. Lake Overholser covers about 1600 acres and has an average depth of 6 feet. It is only 13 feet at its deepest point, significantly more shallow than nearby Lake Hefner, which is 94 feet at its deepest point. The lake is southwest of Lake Hefner, just south of Route 66 and north of I-40 between Council and Morgan Roads. The dam is located on the southeast corner. Entry points include NW 10th and NW 39th Expressway. Boat ramps are located on the east, south and southwest sides of Lake Overholser. Sailing, motor boats and jet skis are all allowed. Speak with a Parks and Recreation representative regarding permits. They can be purchased at Academy Sports & Outdoors locations, Bass Pro Shops in Bricktown, and some Wal-Marts and service stations. Fishing is one of Lake Overholser's primary attractions, and there is a covered fishing pier on the southwest side of the lake. Permit purchase locations are the same as boating permits. The southeast side of Lake Overholser is the place to go for the picnic areas. There is a covered picnic pavilion available with advanced notice. In addition, the lake boasts soccer fields, walking/hiking trails, and tennis courts. Swimming is prohibited at Lake Overholser. You may be aware of OKC Riversport, the folks behind all the fun activities on the Oklahoma River, but did you know the organization also manages the Lake Overholser Boathouse? Available activities include a zip line across the lake, stunt jump, extreme swing, climbing wall, and kayak and stand up paddle board rentals.